Which mutual fund share class is best for you? Which is worst? 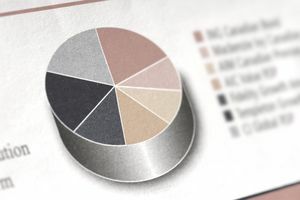 When choosing which fund class is most suitable, investors should take several factors into account, including holding time, expenses, trading costs, the need for advice and more. In order to determine the best share class for your investment portfolio, but sure to consider the following. Will you hold the fund for a long period of time, such as 10 years or more, or will you sell it in a few months or a few years? Class C shares charge what is called a "level load," which is typically a flat 1.00% per year. This may seem like less than a 5.00% front-load but over a long period of time, C shares cost more than other share classes. In general use C shares for short-term (less than 3 years) and use A shares for long-term (more than 8 years), especially if you can get a break on the front-load for making a large purchase. Class B shares can eventually exchange into Class A shares after seven or eight years. As a result, they may be best for investors who do not have enough to invest to qualify for a break level on the A share, but intend to hold the B shares for several years or more. Do you plan to invest once per month? Will you set up a systematic investment plan or will you make a deposit and invest once per year? Are you making one lump sum investment? Now that you know A share funds charge a front-load with each purchase, you won't want to make frequent purchases, such as with a systematic investment plan, with this share class because you'll be hit with a charge of up to 5.00% every time you buy shares. If you are a long-term investor or a buy and hold investor, we ruled out C shares in the previous section. Therefore, B shares are a good choice for the long-term investor who wants to invest frequently (i.e., dollar-cost averaging). The expenses are costs beyond the loads or charges. For example, B shares and C shares often have 12b-1 fees and higher overall expense ratios than A share funds. Therefore the consideration of expenses associated with the share class ties in completely with all of the other considerations listed here. This is because higher expenses over time will erode at your returns, which means less money in your pocket at the end of your holding period. Although A share funds have front loads averaging around 5.00%, their expenses are low after that. Therefore, a lump sum investment held for a long period, such as 5 to 10 years or more, would be well-suited for an A share fund. The 12b-1 fees and overall expenses of the B and C shares, on the other hand, will cause lower relative returns for these funds over long periods. The decision about which share class to purchase is easy once you know whether or not you want to use and advisor. If you want to go the do-it-yourself route, you should absolutely open an account with one of the best no-load mutual fund companies and by no-load funds. This is what it means to "invest directly" because you bypass the middleman (the advisor) and invest directly with the mutual fund company. If this is you, be sure to read my article on how to build a portfolio of mutual funds. If you want to use an advisor and they are not a "fee-only" advisor, they will get paid by commissions or revenues generated by a share class, such as A, B or C. Now you can go back to the top of this article and be sure your advisor is selling you what's best for you and not what's best for his or her interests!